Jacob is a contemporary young man who is seeking his path in the world. Jacob comes from an abusive upbringing - he wants life to radiate. The story is set primarily in California and Nicaragua - Jacob constantly seeks to escape from his misfortunes. 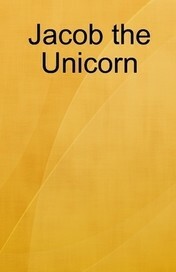 Much of the story is set in Jacob's internal world where he fantasizes the good life, unicorns, and love. However, the reality surrounding Jacob is morbid and unjust - much like the Jewish experience the biblical Jacob is said to represent. Jacob wants to be able to identify himself so he can validate his human experience - however his life remains completely messy and ambiguous proving it nearly impossible to live within the boundaries society constructs.